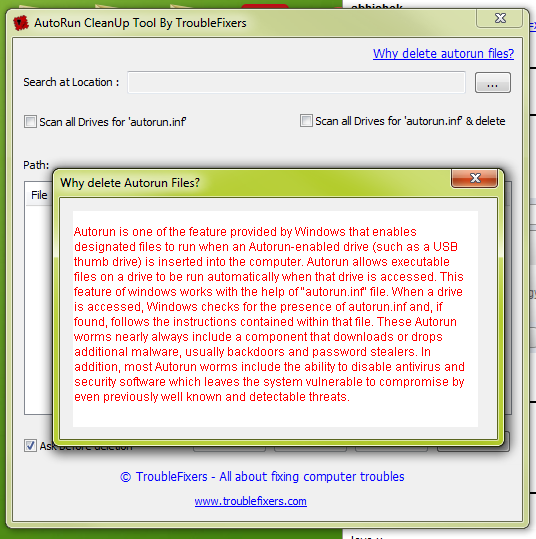 AutoRun CleanUp By TroubleFixers – It is tool which scans and removes any AutoRun file which is present in the root directory of any fixed or removable drive. You should use this tool when some particular hard drive or USB drive partition is not opening on double click. Also you should use it when you plug in a USB drive which may contain some virus or malicious stuff like spywares.